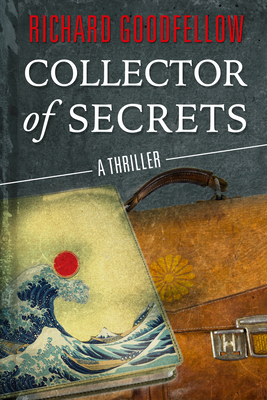 A riveting debut thriller with the twists and turns of "North by Northwest" and The Firm about an American in Japan who comes upon a mysterious decades-old diary, and ends up caught in a web of global espionage he cannot possibly fathom. Max Travers is an English teacher in Japan. When his manipulative boss begins swindling the unsuspecting parents of his students, Max must retrieve his passport to return home. Max sneaks into her office only to stumble upon a burglary-in-progress. Max barely escapes, but accidentally takes a strange diary bound in leather and embossed with a strange seal. Little does Max know that this diary has been hidden for over half a century, and its secrets could topple some of Japan's most powerful people and rewrite the history of the royal family. mysterious American who has ties in the highest places, all willing to kill for the diary's secrets. With his and girlfriend's lives in the balance, Max must decipher the diary's secrets in a richly detailed and ambitious thriller that covers everything from World War II to Watergate. Richard Goodfellow spent two years teaching English in Japan in the early 1990s. A software consultant and self-described road warrior, he penned the majority of COLLECTOR OF SECRETS on airplanes and in small towns throughout Oregon, Texas, Florida, and everywhere in between. After completion of the novel's first draft, he returned to Japan for a month of further travel to lay fresh eyes on the novel's locations, almost every one of which is real. COLLECTOR OF SECRETS is his first novel.